Treasury says the country’s Gross Domestic Product (GDP) growth for 2019 is forecast to grow at 1.5% from an estimated 1.7%. With the weaker outlook projects, the slow improvement in production and employment following poor investment growth seen in 2018, government says the medium-term outlook is subdued with GDP growth expected to reach 2.1% in 2021. Treasury says despite decades of economic weakness, there are positive signs that the economy has begun to regain lost ground, with several commissions probing allegations of widespread corruption in the public and private sector. The president’s investment drive also yielded pledges of R300 billion in investments. Treasury says it expects gradual improvements in business and consumer confidence, and measures to relive policy uncertainty and blockages have begun to show positive results that will support investment. 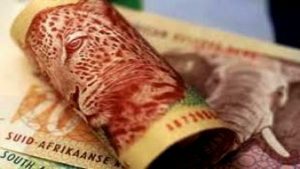 The post GDP forecast to grow at 1.5% appeared first on SABC News – Breaking news, special reports, world, business, sport coverage of all South African current events. Africa's news leader..